Updated Tuesday March 19, 2019 by BYB. Spring 2019 age will be the age of the player on April 30, 2019, per our charter with Cal Ripken/Babe Ruth. Registration fees are $65 for ages 4-7; $85 for ages 8-10; and $95 for ages 11-16. Bentonville Youth Baseball will collect the new non-resident fee’s for Bentonville Parks & Recreation. These fee’s will be added to the registration cost when signing up for BYB Baseball programs. In addition the Bentonville Youth Baseball Board unanimously passed a resolution to pay for this fee for all players that reside within the Boundaries of the Bentonville Independent School District for the Spring 2019 Season only. This is for the 2019 Spring Season only, the non-resident fee will be applied to all future seasons including Fall of 2019. 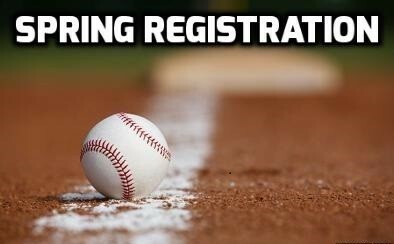 Player's registering who live outside the Bentonville Independent School Boundary will be charged the Bentonville Parks and Recreation's non-resident fee beginning on January 1st 2019 for registering to play in the BYB 2019 Spring Season. The fee will be applied at registration and added to the checkout amount.